Note: If you need to pick up outside of these hours, please call ahead and give us time to prepare your dog for pick up. Picking up or dropping off outside of these hours is disruptive to the pack so we try to keep the comings and goings to these times. *We're across Lookout from King Soopers. Turn North onto Spine from Lookout, then right on O'Dell, right into our parking lot at the front of our building. Click the orange location marker on the map to open Google Maps. Have suggestions? We want to know! We value our customers' feedback and always invite both your praise and criticisms. Feel free to tell us whatever you want, and feel even freer using Suggestion Ox, a 100% anonymous suggestion box. 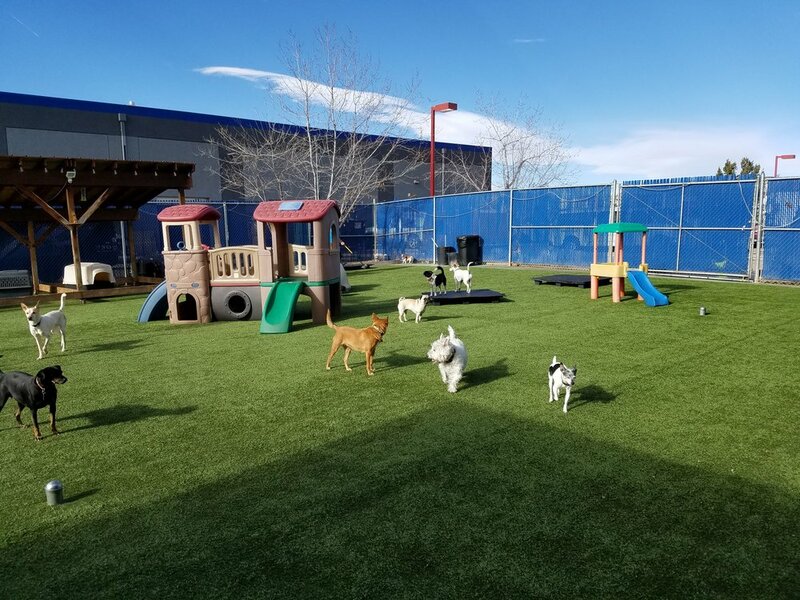 Interested in bringing your pup(s) in? We do need you to register before we are able to make any reservations for your dog(s). Please follow the link below, and then give us a call at (303) 802-7790 once you've submitted your registration!